and thought-provoking trip to document projects of The Zigen Fund with 20 years of hands-on experience on grassroots development in China. 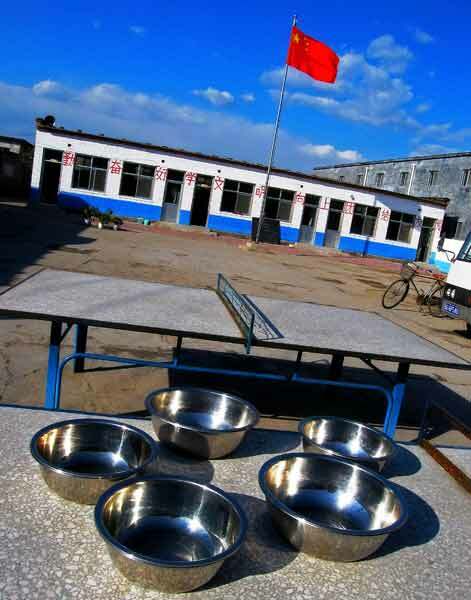 of ghettos for migrant workers outside Beijing. 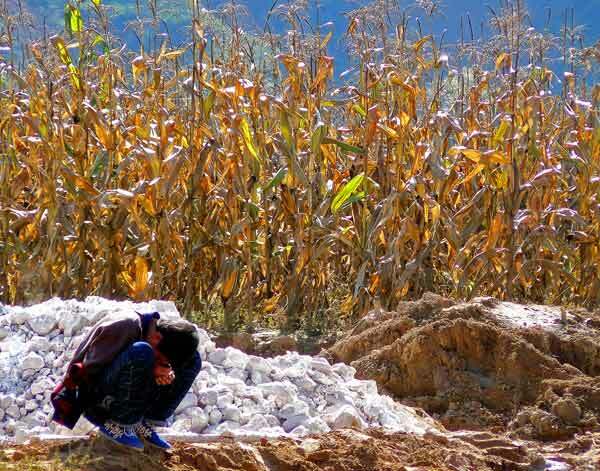 A farmer's son laments the draught that is threatening the corn fields in the arid region of Shanxi. 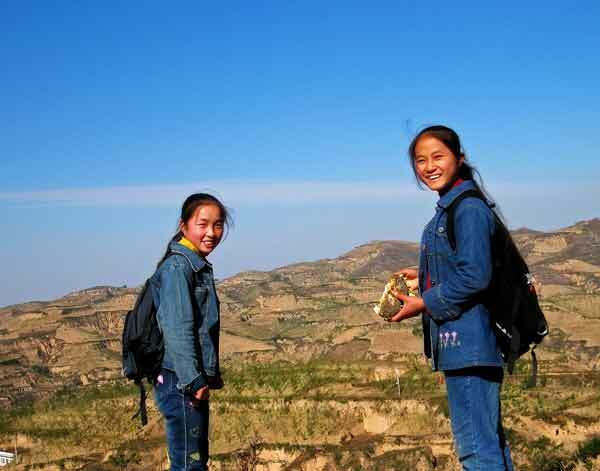 Bai Liting (15) and her classmate still beam after walking over 3 hours to school across the arid and dusty hills of Shanxi. 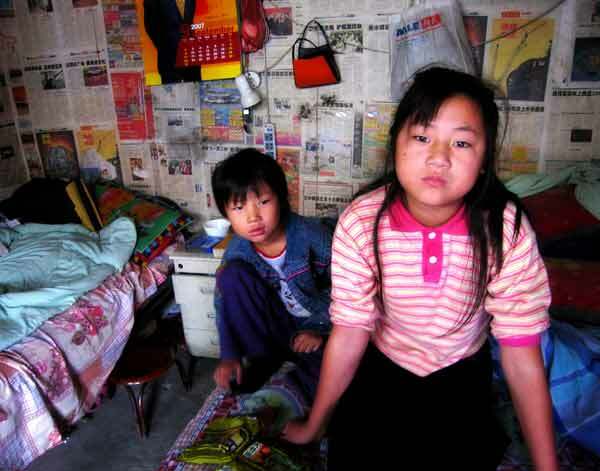 After 3 years in Shahe, 14 year-old Liang Yang and her 8 year-old sister Xiu from Sichuan, yearn to visit the Forbidden City in Beijing, an hour but a world away. 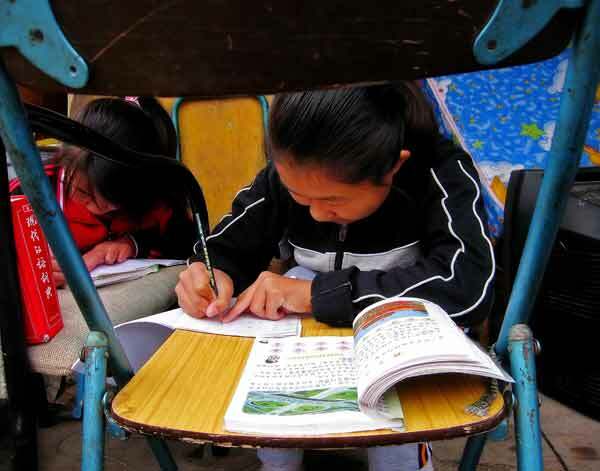 13 year-old deaf-mute students Chang Jingjing and Huo Xun do their homework using folding chairs as makeshift tables outside their Spartan home. 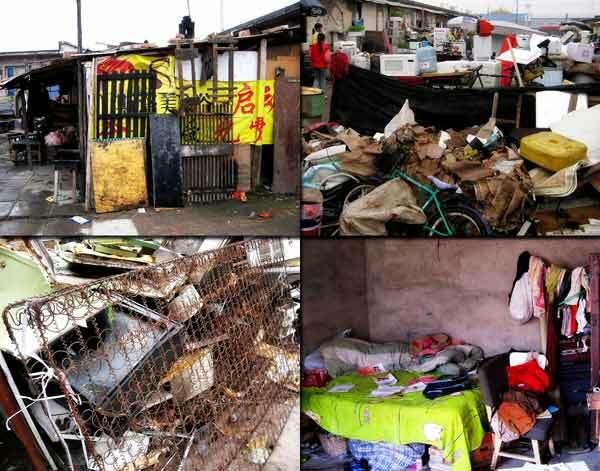 The run-down environment of the slums for migrant workers outside Beijing. The appliances are recovered from garbage dumps for parts recycling. The exterior of Xing Gong School for children of migrant workers looks attractive. Inside, the facilities are run-down. 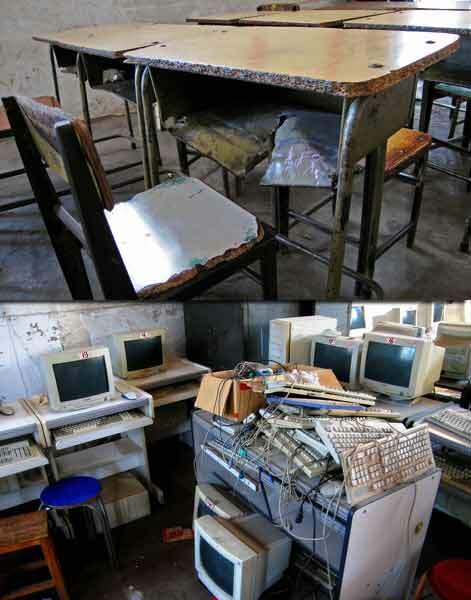 Crumpling furniture and broken-down computers are common in the under-funded private schools for children of migrant workers like Xing Gong. 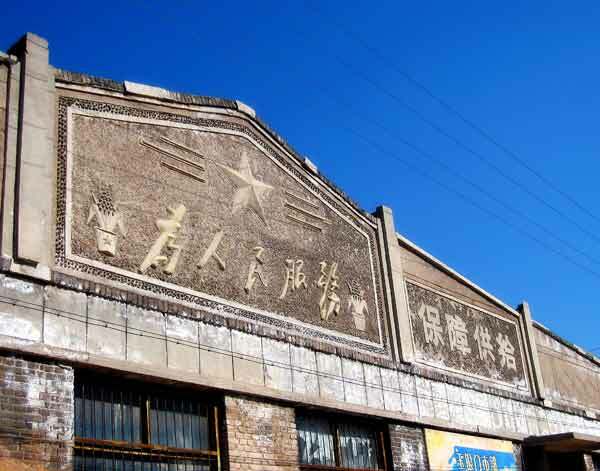 1950s-style post-liberation architecture with "Serve the People" slogan under a red star. 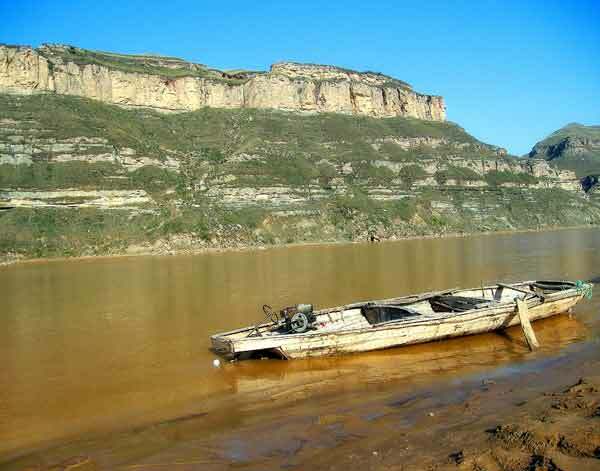 A local ferry trapped during low tide on the bank of the mighty Yellow River. 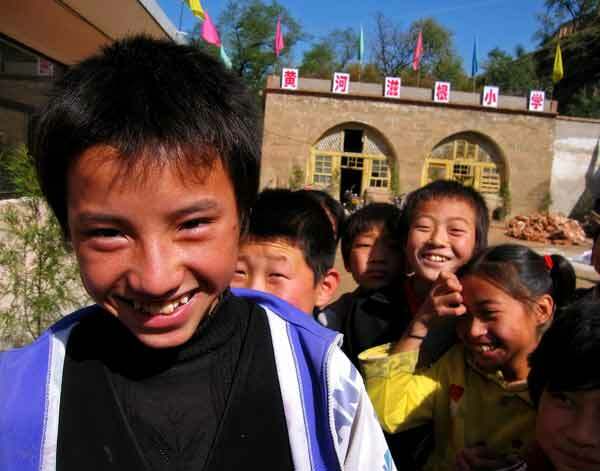 11 year-old Wu Yunshan is cheered by his classmates after being featured in a documentary film on the Yellow River Zigen School. 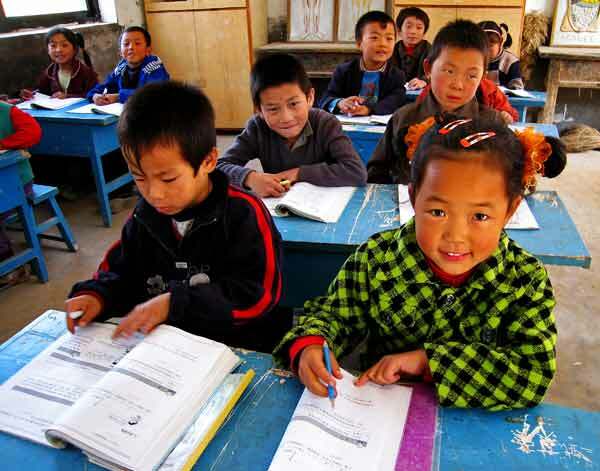 9 year-old Wu Rongrong studies arithmetic with her Primary 2 classmates. Her name is carved on her desk.